​​​​​​Ahmed, Mamtaz Uddin, and, Yusuf, Muhammad Abu (2005). Corporate Governance: Bangladesh Perspective. The Cost and Management. Vol. 33. No. 6. November-December 2005. pp. 18-26. Anderson, R. C., Mansi, S. A. & Reeb, M. A. (2004). Board Characteristics, Accounting report integrity and the cost of debt. Journal of Accounting and Economics, 37. Cadbury, S. A. (2000). The Corporate Governance Agenda, Corporate Governance: An International Review, 8 (1), pp. 7-15. Callahan, E. S., Morehead, T., Dworkin, Fort, T. L., & Schipani, C. A. (2002). Integrating trends in whistleblowing and corporate governance: Promoting organizational effectiveness, societal responsibility, and employee empowerment. American Business Law Journal, 40(1), 177-215. Chen, K.Y., Elder, R. and Hsieh, M., (2007). Corporate governance and earnings management: The implications of corporate governance best-practice principles for Taiwanese listed companies. Journal of Contemporary Accounting & Economics, 3, pp.73-105. https://doi.org/10.1016/S0024-6301(01)00045-0. [Accessed 3 September 2017]. Goodstein, J., Gautam, K. & Boeker, W., (1994). The Effects of Board Size and Diversity on Strategic Change. Strategic Management Journal, 15, 241-250. Hua, DU (2006). Roundtable Discussion on Corporate Governance Guidelines of SEC and its implementation practices in Bangladesh. Asian Development Bank. 23 September 2006. Hossain, M. (2005). Why shareholders’ activism is still an illusion in Bangladesh. The Financial Express, Dhaka (1-8-2005). Himmelberg, C.P., R.G. Hubbard and D. Palia. (1999), “Understanding the determinants of Ownership and the link between Ownership and Performance”, Journal of Financial Economics 53, 353-384. Jensen, M.C. and W.H. Meckling. (1976), “Theory of the Firm: Managerial Behaviour, Agency Costs and Ownership Structure”, Journal of Financial Economics 3 (4), 305-360. Kajola, S. O., (2008). Corporate Governance and Firm Performance: The Case of Nigerian Listed Firms. European Journal of Economics, Finance and Administrative Sciences, 14, pp.16-28. Klein, A., (1998). Firm performance and board committee structure. Journal of Law and Economics, 41(1), pp.275- 303.
corporate valuation, Journal of Finance 57, 1147-1170. Mak, Y. and Kusnadi, Y., (2005). Size really matters: further evidence on the negative relationship between board size and firm value. Pacific- Basin Finance Journal, 13(3), pp.301- 318. Mallin, A. C. (2003). Corporate governance. Oxford University Press, New York. McColgan P., (2001), “Agency theory and corporate governance: a review of the literature from a UK perspective”, Department of Accounting & Finance, University of Strathclyde, Glasgow. Morin, R. and Jarrell, S., (2001), Driving Shareholders Value: Value-Building Techniques for Creating Shareholder Wealth, McGraw-Hill Publishers, Sydney. Moscu, R. G., (2013). The Relationship between Firm Performance and Board Characteristics in Romania. International Journal of Academic Research in Economics and Management Sciences, 2(1), pp.167-175. Mueen, Afzal (2007). Role and Responsibilities of Independent Directors. Key note paper. Roundtable discussion on the Role and Responsibilities of Independent Directors. Bangladesh Enterprise Institute. March 18, 2007. Okeahalam C., and Akinboade. O. A., (2003), “A Review of Corporate Governance in Africa: Literature, Issues and Challenges”, Global Corporate Governance Forum. Rashid, A., Zoysa, A. D., Lodh, S. and Rudkin, K., 2010. Board Composition and Firm Performance: Evidence from Bangladesh. Australasian Accounting Business and Finance Journal, 4(1), pp.76-95. Voluntary Disclosure in Bangladesh. 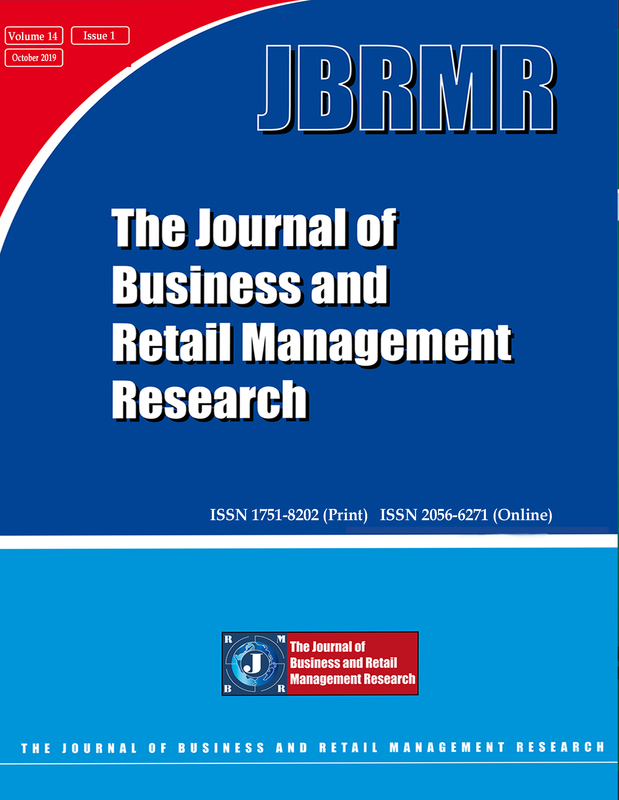 Asian Journal of Management Research, 166-183. Shleifer A. and Vishny, W. R. (1997). A Survey of Corporate Governance. Journal of Finance, 52 (2), pp. 737-783. SEC (Securities and Exchange Commission) Notification (2006). (No.SEC/CMRRCD/2006-158/Admin/02-08 dated 20th February 2006), Dhaka. Uadiale, O. M., (2010). The Impact of Board Structure on Corporate Financial Performance in Nigeria. International Journal of Business and Management, 5(10), pp.155-166. Weir, C. and Laing, D., 2001.Governance structures, Director Independence and Corporate Performance in the UK. European Business Review, 13(2), pp.86-94. Williams, D., Duncan, W., Ginter, P. and Shewchuk, R., 2006. Do governance, equity characteristics, and venture capital involvement affect long-term wealth creation in US health care and biotechnology IPOs? Journal of Health Care Finance, 33(1), pp.54-71.